The mere thought of the words “you need a root canal” is enough to bring up negative feelings for many people. 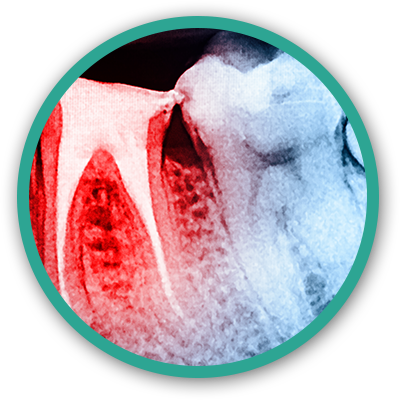 Because of trauma or advanced dental decay, sometimes a tooth can necrose — a medical term that means “die” — or become acutely painful. Many times the teeth will give indicators such as sensitivity to biting or temperature, a bump on the gum tissues, or swelling. 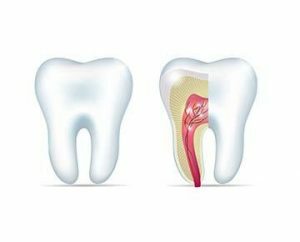 A root canal treatment is used to remove the inflamed nerve or dead tissue from the inside or pulp canal of the tooth. During the procedure, Dr. Katie Daniels will start by making the area comfortable by numbing it. A protective barrier is placed to prevent you from tasting the materials used to clean the canals. Tiny hand instruments and rotary instruments are used to clean the canals and taper them so a filler (gutta percha) can be placed in the canal. This filler will prevent bacteria from returning to the canal and causing additional problems. After a root canal treatment has been completed, a crown is indicated to restore the strength and function of the tooth. We know there are plenty of people who are apprehensive about dental visits. This is one of the reasons we have created such a relaxed environment at Valley Ridge Dental. Dr. Daniels will always make sure your tooth is entirely numb before she starts any procedure to make the experience as pain-free as possible. If you have serious dental anxiety, please let us know ahead of time. If you need a bit of TLC before treatment, we are happy to offer that. To help you relax, we offer aromatherapy and soothing paraffin wax treatments for your hands. You can also watch Netflix or listen to music in the treatment rooms. We can also offer nitrous oxide — also known as laughing gas — to help reduce your anxiety. If you have a toothache and think you might need a root canal, don’t let anxiety prevent you from getting treatment as soon as possible. This routine procedure will eliminate your pain — and it can save your infected tooth. The sooner you visit a dentist, the better our chance of preserving your tooth and giving you back its full function. The only way to know for sure if you need a root canal is to come in for a dental exam. If you are currently experiencing pain, please give us a call. We will do our best to see you the very same day.